Spot White - Ecoprint. Business cards, recycled printing. * Please note for the best result we recommend using spot colours at 100%. * If you are using Spot White as a base with CMYK to be printed over the top, you will need to set your CMYK colours to overprint. 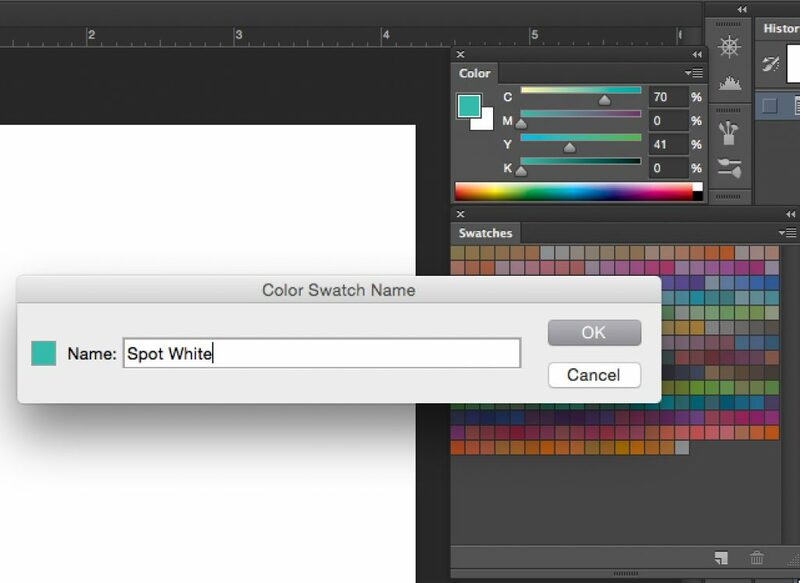 To add spot white to your artwork, you will first need to create a new colour swatch. Please select the area of your artwork that is to be printed in white ink, and change it to the CMYK colour ‘33BCAB’ or 70% cyan and 41% yellow (this will allow us to see the area of your design that is to be in white, when we are checking your files for print. Please note, it will not print this colour, it will print white). 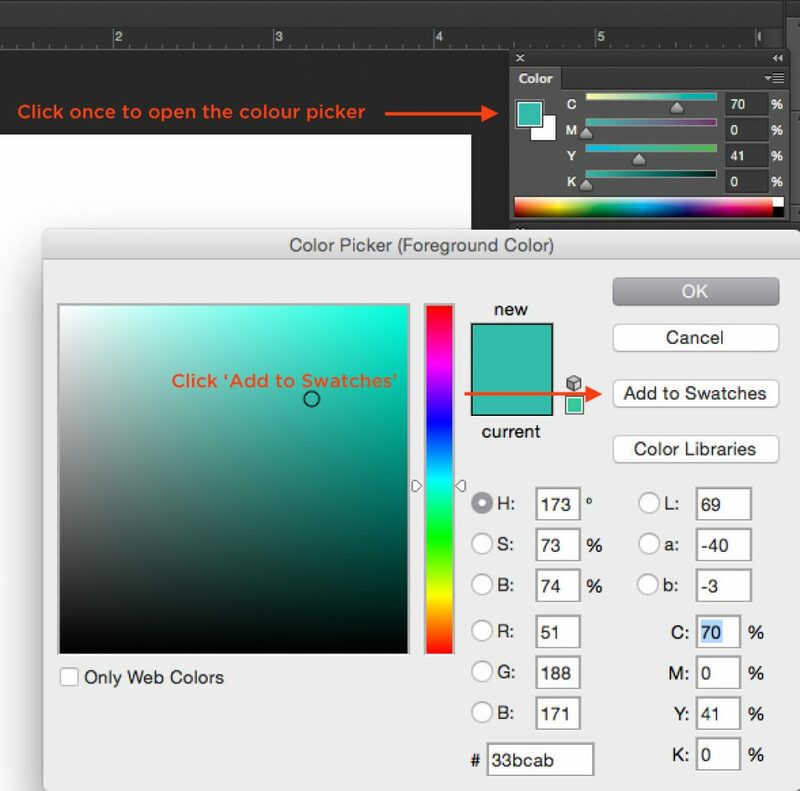 Once in the colour swatch area, please double click the colour, this will open up the Swatch Options window. Change the Colour Type to a Spot Colour, and then please rename the Swatch name to ‘Spot White’ – it is important that the swatch is named exactly as we have requested as our machine will only pick up this terminology. 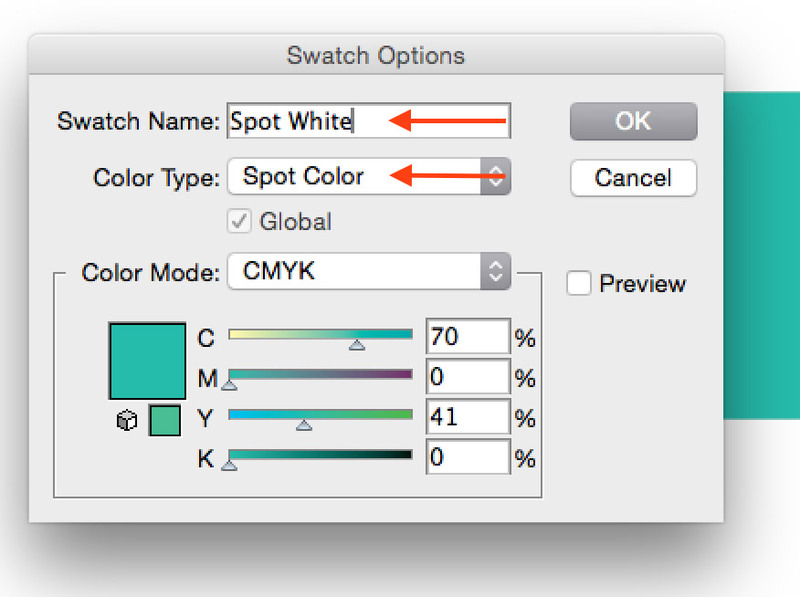 Click the colour breakdown and click ‘Add to Swatches’, then name the swatch ‘Spot White’ and click ok – it is important that the swatch is named exactly as we have requested as our machine will only pick up this terminology. Please note if you wish to use Spot White underneath and either CMYK or another Spot Colour over the top, you must first use the above method to create your spot white base. Now duplicate that element so it is in the exact same position as the original element, and select the colour you wish to display on top of the white. Now set the top element (the colour you want to appear on top of the white) to overprint.